Insurance serves a vital function in businesses by assessing and protecting against risk. If you are interested in the field of Risk Management for Businesses, Insurance may be a good major for you. There are different kinds of risk associated with business. Whether it be your employee getting hurt on the job, or inventory is damaged or stolen; these situations can all be elucidated by risk management. Risk management is a form of insurance, which will protect companies against injury and loss. If you pursue a degree in Insurance you will learn handle risk and provide insurance and risk management for business, organizations, and individuals. While studying this major, you will take various courses on health care financing, retirement plans, life and health insurance, risk management, employee benefits, and principle of insurance. 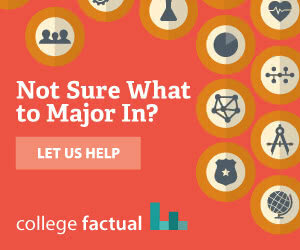 This major is commonly offered as a Bachelor's degree. Strong people skills will help you achieve success in this major and a future career. You will be working directly with many different clients; in order to understand their needs and concerns it is important to be personable and trustworthy. Relationship building will be part of the job. Mathematical skills are required to match and calculate prices, as well as to assess risk and the cost of possible damaging situations. If this is a field that interests you, prepare for it while still in high school. Take courses in business, accounting, economics, statistics and computer applications if they offered at your school. Insurance is necessary for everyone; therefore graduates with a degree in Insurance will have many opportunities within this field. One quickly growing field is that of Insurance Sales Agents. These agents are professionals who assist individuals and companies to choose which insurance policies match their needs, in terms of their lives, property, and health. Another popular field is to become an Actuary. Actuaries determine how likely various events are going to occur. They take that information and create different plans to fit individuals and companies. The job outlook for these professionals is expected to increase greatly. Additional career options include Insurance Underwriters, Personal Financial Advisors, Claims Adjuster, Examiners, and Investigators. Here is a small sample of the careers that a degree in Insurance might open up.